Let the train take the strain as you sit back, relax and travel through the heart of the English countryside. Whether you are taking a trip down memory lane or creating new ones, it’s the perfect way to unwind and experience the nostalgic sights, sounds and smells of steam travel from a bygone age. 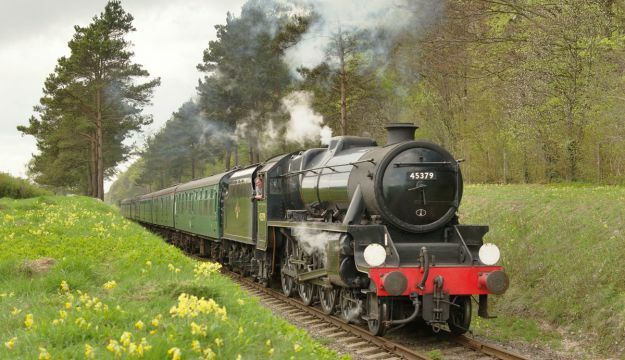 Celebrating its 150th Anniversary in 2015; the Mid Hants Railway ‘Watercress Line’ runs for ten miles along the edge of the South Downs National Park in Hampshire. Groups generally start their journey at the picturesque Georgian town of New Alresford: located just seven miles from the ancient city of Winchester and famous for its clear chalk streams and watercress farms. Opened in 1865, the railway was soon nicknamed for its early role in transporting this locally grown crop to the markets in London and beyond. 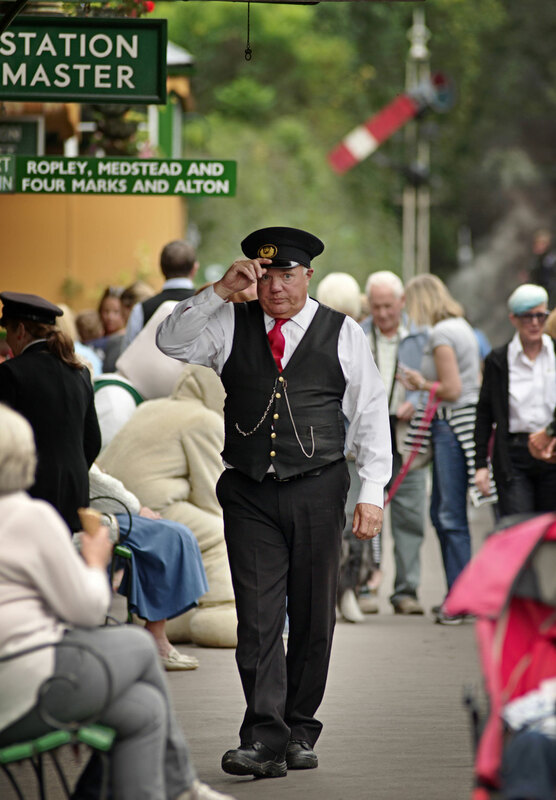 Group visits to the railway are often combined with another nearby attraction in the morning, including Jane Austen’s House Museum and Milestones Museum, to give you a full day’s itinerary and the best value from your coach hire. You can enjoy a straightforward ride on the train, but most groups opt for a delicious ploughman’s lunch or an afternoon cream tea on board to add to the experience. You can also book an afternoon leisure learning session, with memory prompts to get your group chatting and sharing memories of the days of steam travel, sitting on your case on a packed holiday train or your days as a train spotter! Along the line the railway has an impressive engineering works and Loco Yard, where an enormous amount of restoration work is carried out on locomotives and carriages. You can book a behind the scenes tour of the yard as part of your visit to get up close to the locomotives and see this preservation work. With charming period stations along the way, at the other end of the line the bustling market town of Alton is only a mile or two away from the aforementioned Jane Austen’s House Museum in nearby Chawton. Group bookings can be made throughout the operating calendar with discounted fares for 15+ and 30+ available on standard travel (non-event) days. Catered journeys are available Tuesday – Thursday from May to September, subject to availability. Combined attraction bookings can all be made via the Watercress Line for added ease. The railway has a specially adapted coach for up to six wheelchairs and ramps to aid boarding for the less mobile.